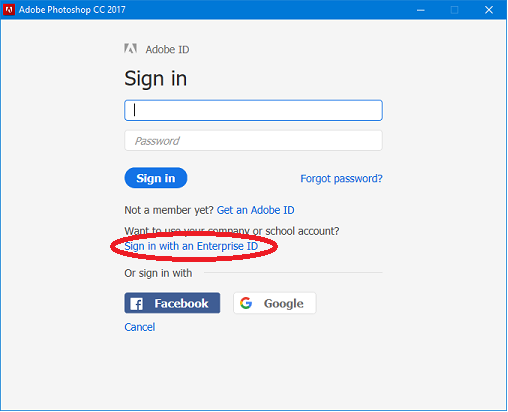 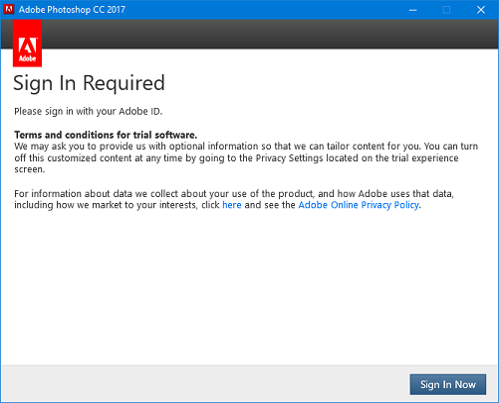 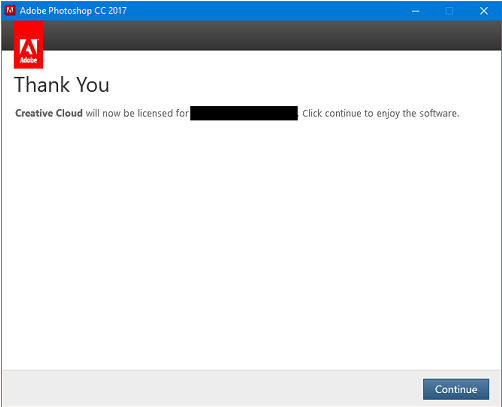 Follow the steps below to sign into Adobe products (Photoshop, InDesign, Acrobat, etc.). 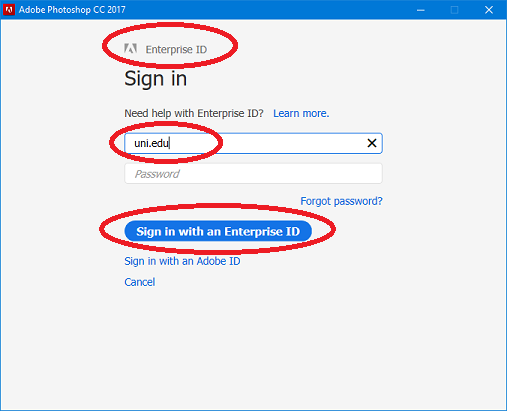 Note: Adobe products are only licensed to current UNI faculty and staff. 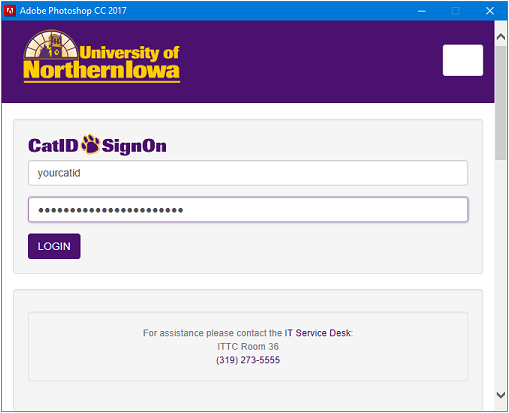 Student access is only available through UNI computer labs.